Get out the cotton candy The Bookworm Carnival has begun! This is the very first one. My review of Unless made it in, along with a lot of other interesting bloggers entries. Put on some comfortable shoes and go check it out! 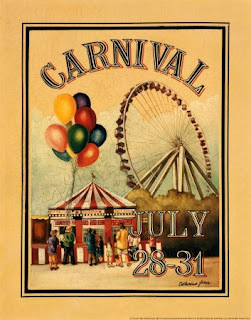 Thanks for promoting the carnival! Yay! This is a really cool project. Off to read your review now.